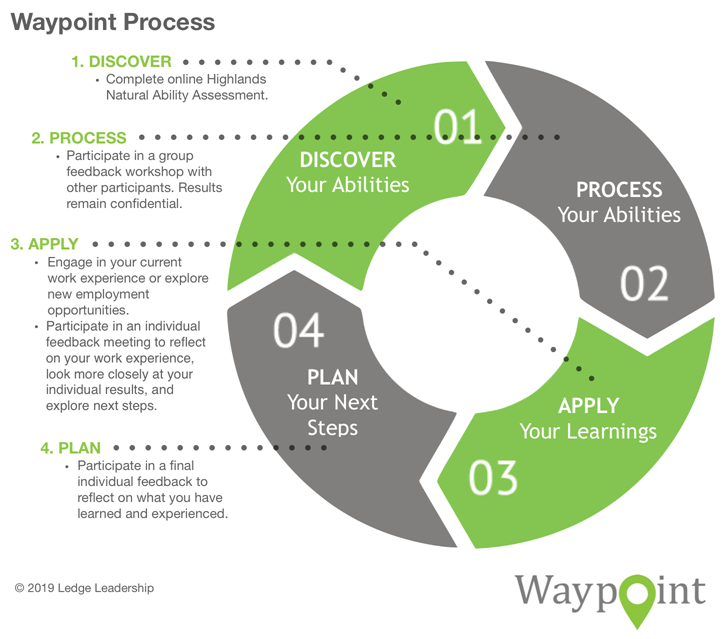 Ledge Leadership has created a program for high school students called Waypoint that is designed to help them find answers to those questions. The starting point is to help students explore their natural abilities through the Highlands Ability Battery (HAB). 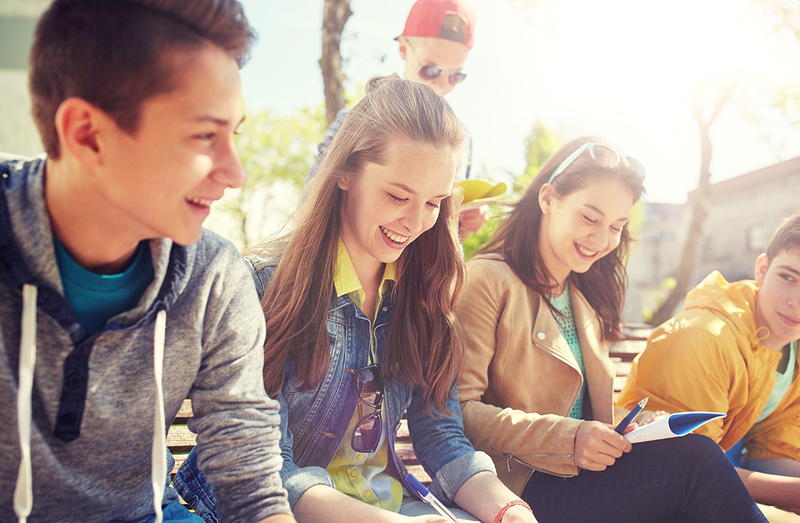 Ledge has found that youth who understand their natural abilities are able to express their strengths and challenges to employers, have clear direction about post secondary education, and lead more effectively in their communities. According to Melri Wright, a Highlands Consultant with Ledge Leadership, they were very pleased with the results of the first program and plan to run it again. Most of the participants completed all four stages, and everyone reported that the program gave them a clearer picture of their futures. Those who had been uncertain about past school decisions expressed understanding as to why those programs were not the right fit. They expressed increased knowledge about their abilities, strengths, challenges, and learning styles, as well as appreciation for having richer language to describe themselves to employers, family, and peers. Many other students who have taken the Highlands Ability Battery have also voiced how helpful it is to get an objective understanding of their strengths and weaknesses. Elizabeth’s story is a good example of how that knowledge can give students confidence as they enter college that they are pursuing a career path to which they are well suited. We are inspired and encouraged by the way the HAB is being used by Ledge Leadership to positively influence the lives of young students. Ledge was formed 40 years ago as a grassroots organization, training youths to adopt a new approach to team leadership that is rooted in a whole person philosophy. To learn more about the work that Ledge Leadership is doing, check out their website. 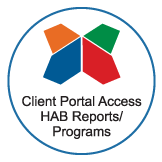 You can also contact Melri Wright for more details on her work with the HAB. Melri Wright has trained and mentored youth and youth workers since 1990 and has been a Highlands consultant since 2006. 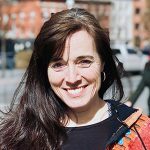 She is part of the team that directs Ledge Leadership, an organization that focuses on youth, young adults, and organizations who want to increase their capacity to lead. Melri is passionate about investing in youth and adults and seeing them develop their self-awareness and confidence. Highlands is a valuable resource she provides to individuals because understanding their natural abilities gives people tools to express their strengths and challenges to employers, more clarity about next steps during times of transition, and greater effectiveness as they lead in their communities.